Harnessing the power of the sun has been a long-time dream for humankind. As a gigantic nuclear reactor, our sun produces enough light-energy in an hour to power the entire globe. Less than one-half of one percent of energy is produced by solar power in the United States. But that number is beginning to climb rapidly. Solar technology has vastly improved over the past couple of decades. With improved technology comes lower costs. Together, the breakeven point of purchasing solar power systems has dropped from decades to just a few years. Not sure if solar is right for you? Let’s start with benefits solar power can bring to your home or business. Solar power installation does come with an upfront cost, however homeowners and businesses alike begin seeing a positive return on their investment in as little as 6 years. 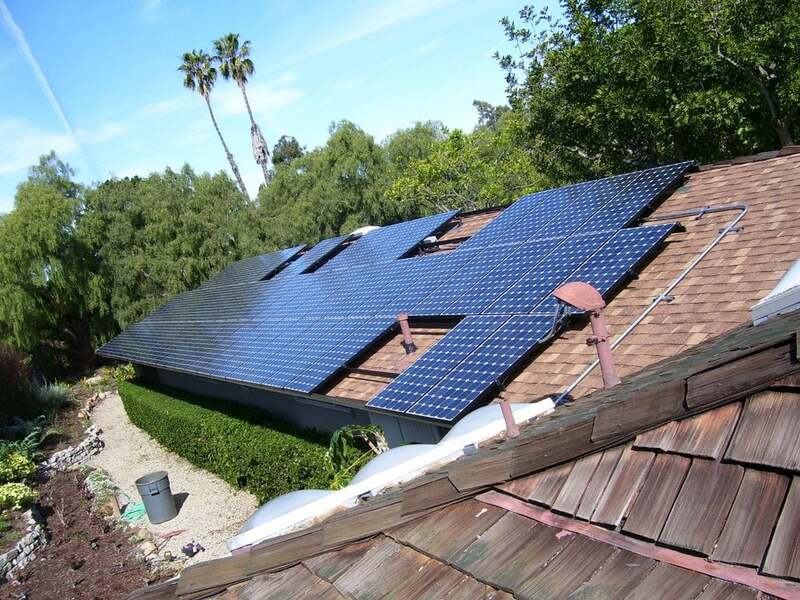 And like many home improvements, installing a solar system can increase your home’s value. Financial benefits aside, the environmental impact of solar power compared to other energy producing technologies is significantly lower. Unlike coal or natural gas production, solar energy doesn’t produce any emissions. Fossil fuels will run out. As the country moves toward renewable energy sources, our dependence on foreign energy drops. Energy independence increases national security and reduces energy uncertainty. Solar technology has been around for decades. In general, the science behind solar power hasn’t changed, although the technology has improved dramatically since the early days. Solar power relies on light. Light is made up of particles called photons. Each solar panel is made up of photovoltaic cells, meaning they convert sunlight into electricity. The conversion occurs when photons reach a cell and knock electrons off of atoms. The inside of a photovoltaic cell is like that of a sandwich. One half of the sandwich is engineered with a negative charge while the other a positive charge. When an electron is knocked free, the difference in the two charges forces the electron through the solar system in the form of electric current where other components transfer the electrons into usable power. The installation of a solar system is actually quite simple. Advances in technology have simplified systems while making components more readily available. Although the installation of solar panels and their supporting systems has become easier, we are still talking about working with equipment that can produce hundreds of volts of electricity. 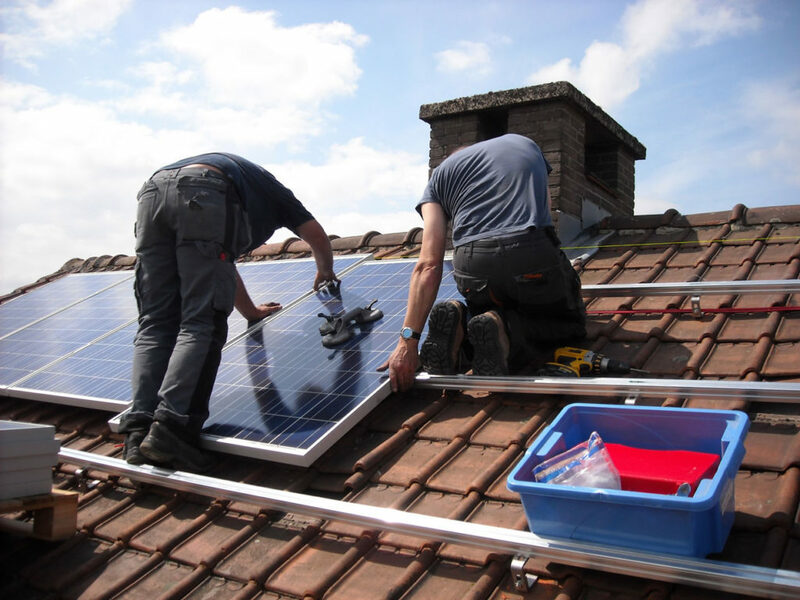 Safety is the number one priority when it comes to installing solar systems and best left to professional installers. Solar panels are first mounted onto the roof. Panel installation includes the attachment of mounting brackets which keep the panels a few inches above your roof covering. From there, the proper wires are installed and fed down to the photovoltaic components. The systems photovoltaic components must be properly ventilated, dry, and be insulated from extreme temperature fluctuations. If considering battery installation, further caution is required to keep batteries inaccessible from children or pets. By not having any moving parts, solar systems require very little maintenance. It is recommended your solar panels be inspected for any loose material which may collect on them. 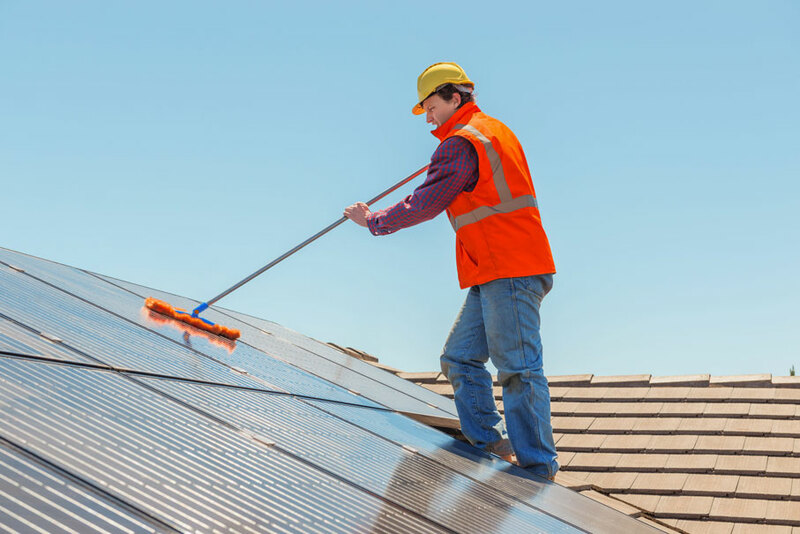 A simple water spray is sufficient enough to lightly clean the panels’ surface. Note, however, to avoid spraying cold water onto warm panels to avoid cracking. If manual maintenance isn’t within your wheelhouse, consider installing an automated cleaning system. Although this adds one more component which requires its own maintenance, automatic cleaning systems comprised of sprinklers can be very effective in dust prone locations. 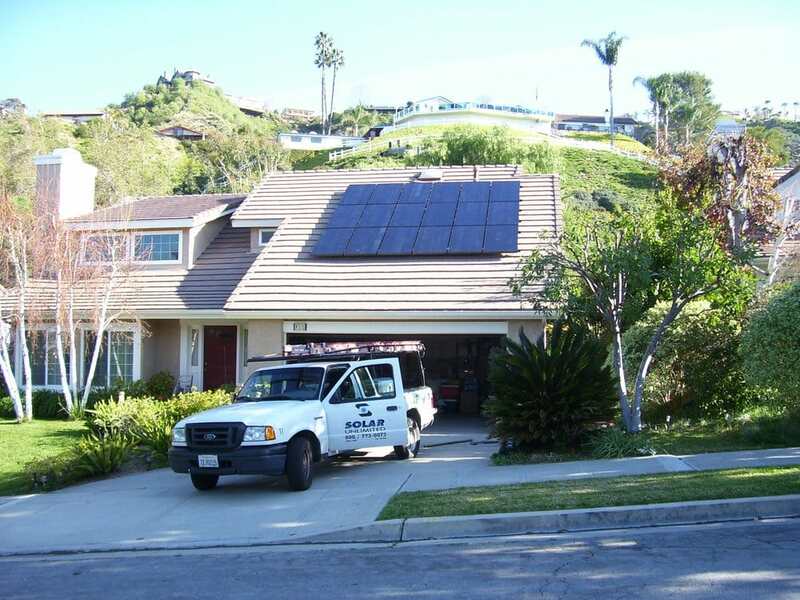 It is recommended to have a professional solar inspection each year. A complete inspection will ensure your system is operating at maximum efficiency and can identify potential issues before a problem arises. Proper maintenance and servicing go a long way in maximizing energy production and extending the life of your solar system. When considering the purchase of a solar system, durability should be at the top of your list when evaluating solar products. Fortunately, most solar systems offer warranties between 25 to 30 years. Such warranties guarantee solar panels longer than almost any other home product we purchase. Since solar systems have nearly zero moving parts, there is less to break or wear down. The average life expectancy of solar panels is about 25 years. And it is not uncommon for panels to keep producing clean electricity years after their life expectancy. Installation of solar power systems has been growing exponentially over the past decade. Technology has improved reducing cost and increasing efficiency. At the same time, interest in investing in green technology has captured the minds of homeowners as efforts to improve the environment we live in expands. Myth: Solar doesn’t work on cloudy days. Fact: Although the amount of energy may be reduced on a cloudy day, so long as there is light energy does indeed get produced. More often than not, a cloudy day won’t impact your average energy use. Myth: Solar panels cause roof damage. Fact: Whether your roof is flat, angled, or highly pitched, professional installers have seen it all. Solar installation does not damage the roof and in fact, solar panels actually provide some protection to their areas they cover. Myth: It takes too long to recover the cost of solar panels in energy savings. Fact: A lot depends on your personal situation, but solar power can begin reaping financial benefits in a little as 6 years. The actual amount saved will be determined by your system, location, energy usage, and available government incentives at the time of installation. Don’t let any of these myths hold you back from considering solar power for your home or business. As you can see, solar power’s benefits typically outweigh the system’s negatives, especially if those negatives are only a myth. 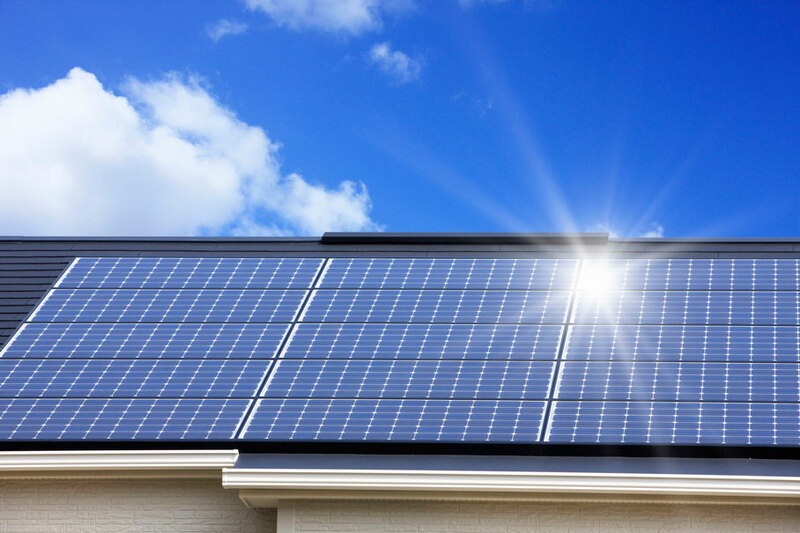 If you want to learn more about how solar power and our Solar Electric Panel System can reduce your energy costs while bettering the environment, please contact one of our technicians today!